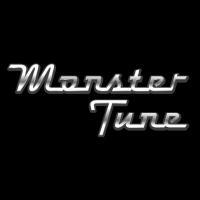 Monster-Tune.com had the most liked content! Mercedes C180 Scheduled Maintenance done. Mercedes C180 Monster Tuned for an extra 30hp and 50nm est. (measured with road load simulation for utmost accuracy). Among Industry’s first to be able to make full ECU backups and tuning without having to open the ECU. Mercedes C180 W205 Monster Tuned for an extra 30hp & 50nm. Industry’s first to be able to make full ECU backups and tuning without having to open the ECU. Mercedes E250 Brake pads & brake discs replaced and regular maintenance done. A NEW breakthrough and among our industry’s first: Latest Alientech tuning tool firmware in action! No more opening of ECUs (engine control units) for tuning most modern Mercedes, Audi, VW, Infiniti and many more. This translates to a much safer and less intrusive tuning procedure. Mercedes S300 regular servicing + fan belt replacement + tensioner replacement done. Exciting new update: With our new tuning tool update, there is NO longer a need to open up ECUs (engine control unit) for tuning most of the modern Mercedes. This translates to a much quicker and safer tuning process. Contact us now for more info! Mercedes S350 Monster Tuned, adding a sweet 25hp & 30nm est. **All tunes are done with wheels on the car, just as how they should be driven. Mercedes C180 Coolant Leak Fixed. Mercedes C180 Waterpump Replacement & Scheduled Maintenance done.